Kat and Karl : pre-folding and no reply card. pre-folding and no reply card. 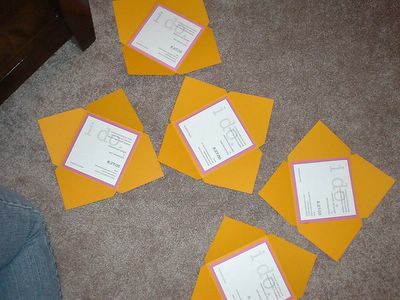 a brief look at the invites in the making! they fold inward. the reply card and white reply card envelope go inside here! colors are much better/brighter in real life! what do you think?